Massage to the head, neck and shoulders helps relieve tight aching muscles, stiffness and tension. May help reduce earache, eye strain and sinus congestion. Reduced stress, anxiety and tiredness. A sense of calmness, contentment and tranquility. A medical history consultation will confirm the suitability of this treatment, in case you have any conditions such as inflammation, diabetes, epilepsy, high or low blood pressure, or are in the early stages of pregnancy. The treatment is performed with the client sitting comfortably in a chair, remaining dressed but with access to the neck and shoulders for the application of a small amount of oil. (The use of oil on the head is optional and may include essential oils such as lavender if desired). Warm towels will encourage relaxation and maintain comfort throughout. Some of the techniques used on the head are stimulating to the circulation. Gentle acupressure point activation to the face further helps to free toxins from the tissues by encouraging lymphatic and blood circulation. Deeper breathing naturally results as the client becomes deeply relaxed. Indian head massage is often used to relieve conditions associated with stress, especially tension of the neck and shoulders, headaches and eye strain. As the scalp is massaged, blood flow increases and the muscles in the face, head, neck and shoulders begin to relax, inducing feeling of well being throughout the whole body. Indian Head Massage dates back thousands of years to the Himalayan subcontinent where it was part of the Ayurvedic system of health and healing. It is translated as “the science of life” where massage still forms an integral part of the daily routine or dinacharya of preventative medicine to this day. Ayurvedic philosophy believes that the mind directly affects the health of the body and that massage to the head can positively influence the nervous system through its calming effects. In India, the body is believed to contain seven main energy centres known as chakras and when out of balance, energy is unable to flow freely through those located in the head, creating tension and disharmony. The stimulating massage techniques and increase of circulation are thought to encourage hair growth and lustre. The effectiveness of this ancient Indian tradition has been affirmed more recently through its popularity in the West, where it is a convenient and pleasurable way to ease the stresses of modern day life. The soothing, rhythmic massage strokes help to restore and rebalance the energy levels, creating a deeper sense of peace and calm. Jan has a calm and gentle nature and provides a professional service. She checks in to see how much pressure is comfortable and identifies areas that may need more attention. 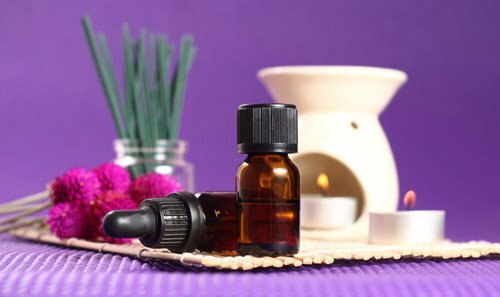 The treatment promotes relaxation and calmness and has provided me with relief of sinus pressure as well as being a great stress reliever for me.